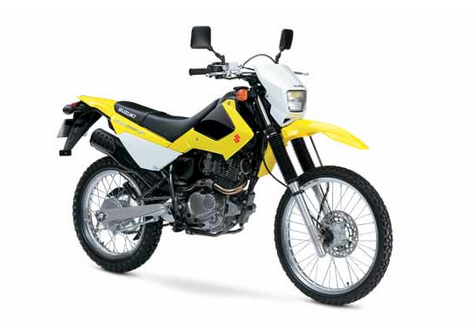 Formerly Suzuki trail bike legend with its low entry of Suzuki TS-125. Motor Bike with dual-purpose type this could be a mainstay for passing off road terrain and urban streets. But unfortunately, after sales stopped this type, until now Suzuki no longer have similar products. 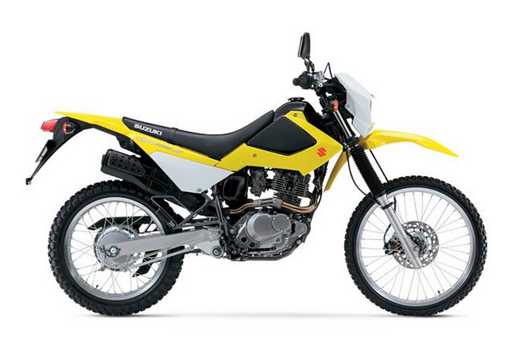 Does Suzuki have run out of the line up for a dual-purpose bike? Of course not, Suzuki still has a dual-purpose variants, and here's the proof! Suzuki DR-200S 2015 version has just been published in the United States. Although intended as a dirt road, but in terms of its body styling transformed from a dirt bike engine special is the Suzuki RM-Z. Can be seen in the shape of the tank cover and body side. For a rear light and indicator panels are some parts that are a redesign of the previous model. The seats are now designed to be more integrated with the new tank with the capacity of 15.4 liters. very suitable for long trips. Still about traveling long distances, Suzuki has designed the ergonomics of this bike is more suited for touring. With a thick and wide seat is the one that became one its character.